A business that is owned by a single person is known a sole trader business. The owner may employ other people to work in the company but they have no ownership of the firm. Usually small in size and has low set up costs. Typical examples are plumbers, electricians and gardeners. the owner gets to keep the profit and make any decisions. They be responsive the consumers demands and also establish good customer relationships. the owner is usually liable for any debts that the company has. Having a single owner may limit the range of skills and ideas in the decision making processes. The amount of capital/money that a single person can raise is also likely to be relatively small low. These are companies that have 2 or more owners (partners) and usually not more than 20. Common examples of partnerships may are dentists, accountants, solicitors and doctors practices. Liability is shared between more people. Profits are shared between the partners. There may disagreements about the decisions made. Between the partners there is still liability for any debts. Private Limited Companies are owned by several people through the sale of shares. The shares are not available to the public through the stock exchange, but sold privately to friends and family. Private Limited companies must publish annual reports for their shareholders giving details about the company’s performance. Ability to raise more capital (although it is limited to the finance that friends and family have and are willing to invest). The company itself is liable for any losses and this means the share holders only have limited liability. They tend to remain relatively small since the levels of capital that can be raised from friends and family is usually fairly low. Public Limited Companies are listed on a stock exchange and their shares are available for anyone to buy through a stockbroker. They are often relatively large in size. To become a Plc, the company must publish information about its operations and accounts in a prospectus to inform any potential investors about the company, its direction and financial health. Each year reports must also be sent to all its investors about the previous year’s performance, accounts and future direction. They can usually raise large sums of capital due to the global supply of investors. They can grow quickly and/ or invest in the necessary capital. Shareholders have limited liability and can vote at meetings about the decisions being made. Higher administrative costs of informing all investors about extraordinary meetings and publishing yearly reports. The owners of the company may lose control of the decision making since all investors can vote at the AGM (annual general meeting) if they are not happy with the performance or decisions being taken. Formed when a group of producers team up to become a cooperative. This is common in agriculture; coffee farmers may form co-operatives to share equipment (reduce costs) and to have more influence in the market place due to controlling a larger supply. They buy in bulk to benefit from reduced prices, this is then passed on to their members as cheaper prices. These are government run organizations and tend to be large in size. They are funded by the government and are not profit orientated. Their main aim is to provide the best service to the public. Utility and train operations are often state run (nationalized), in the UK the BBC (British Broadcasting Corporation) is a public corporation. Making the decisions that are in the public’s interest rather than for profit maximization. In some situations such as railways and public water infra-structure it makes economic sense to just have one set of rails and pipes rather than duplicating them for different private companies. Inefficiencies since the corporation will be subsidized if it fails to cover its costs. The lack of competition may lead to lower levels of innovation and possibly quality. The size of public corporations can often lead to inefficient communication within the company. Watch video 3.1.1 and make notes about the inputs, processes and outputs that are involved. Write a paragraph explaining why labour is so prominent in this factory and why the machinery is relatively basic. Are the workers skilled & do they appear happy/satisfied? Explain your answer. BMW are one of the worlds major car manufacturers and produce many of their cars in developed countries where wages are high. Watch the clip and again comment on the inputs, processes and outputs involved. In this factory labour is more skilled but most processes are mechanised, explain why. Comment on whether the wokers seem satisfied - suggest reasons for your answer. These are the costs that don’t vary with output such as rent, interest on loans etc. 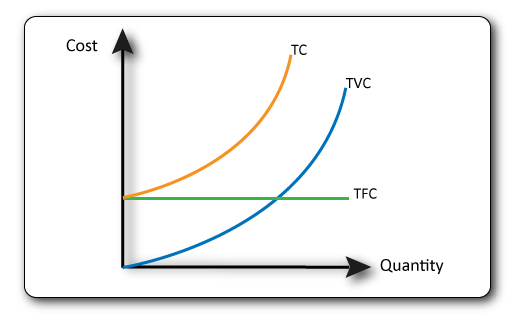 This means that the Total Fixed Cost (TFC) line is straight. The Average Fixed Cost (AFC) line is sloped. 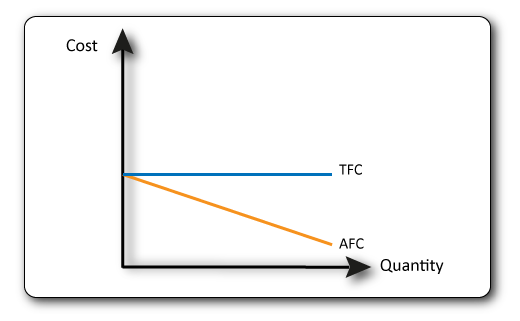 TFC/output = AFC. If fixed costs are $10 and 1 item is produced then the AFC is $10, however if 2 items are produced then the AFC is $5. These are the costs that change as output changes such as raw materials, wages, utility bills. 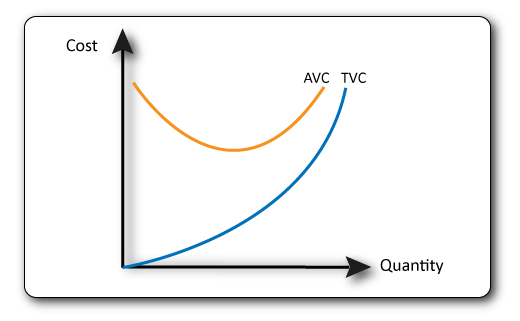 As output increases Total Variable Costs (TVC) increase. Fixed Costs + Variable Costs = Total Costs. The total cost line starts at the level of the fixed cost line since these costs must be paid despite no production. Revenue: This is the total amount of money a firms recieves from selling goods (before costs are deducted). The output per worker is known as productivity. Investing in training should increase the speed or skill of the workers. Mechanising some of the processes. specialize their workforce in certain stages of production. Increasing the labour force can initially bring increased productivity as many jobs are made quicker through specialization. There are limits though to these benefits and at some point adding additional workers will lead to decreases in productivity. If workers get in each other’s way, have to wait for shared machinery or cannot communicate effectively, their productivity will diminish, this is known as the Law of Diminishing Marginal Returns. Firms in perfect competition cannot compete on price. In this type of market situation the price elasticity of demand is perfectly elastic. If a firm raises its price consumers will not buy from it. Products are identical and consumers have complete knowledge of the other suppliers prices they will all buy from somewhere else. Firms make what is known as ‘normal profit’ in the long-run. They are unable to reduce their price since this would result in them making a loss. Firms must accept the market price which is set by the forces of supply and demand. Perfect competition makes the best use of resources since it reallocates the resources to the production of goods that are in demand and profitable. Inefficient producers will quickly go out of business. If there is an increase in the demand then in the short run the suppliers will make higher than normal profits (super-normal profits). Others quickly join this market which will increase the supply and push the price back down to a point at which normal profit is again being made. If there is a decrease in demand then the price will fall. This will quickly result in some suppliers leaving the industry and switching to something that is more profitable. This wil redcue the supply. Monopoly situations occur when there is a single firm that is the sole supplier. In some cases it makes sense to have a single supplier since duplicating the infra-structure would be inefficient and wasteful. These industries are known as natural monopolies and include water companies, some rail companies (if they own the track) and electricity suppliers. The firm has 100% share of the market. Decide the price level they want to achieve and supply the quantity that would achieve this. Decide the quantity they want to sell and accept the market price. Inefficiency: the lack of competition allows monopolies to operate less efficiently than companies in a competitive market would. Lack of innovation/poor quality: they can offer a poorer service/product without losing many customers. Higher prices: they can set the price and earn super-normal profit levels.